There’s nothing like washing away the dirt and grime that accumulates after a long day, or starting off your day with a refreshing and luxurious shower, washing the sleep out of your eyes and feeling energized and ready to tackle whatever the day has in store. However, with the wrong body wash that just stops short of getting you clean, this experience can be less than relaxing. In fact, some body wash options for men even contain significant amounts of harmful chemicals that can do a lot of damage to your body and that just don’t feel as good against your skin. Some of these ingredients can make your body feel dry or itchy, or simply not make you feel as clean as you might like to. Picking the right body wash for you that accomplishes everything you are looking for in a high-quality soap can be quite a challenge. Fortunately, this is a market with a lot of products in it to choose from, so once you know what to look for to determine is a certain body soap is right for you, then the rest becomes simple. Before we get into what you need to look at when determining if a specific body soap is right for you, let’s start out by determining the characteristics you might expect from the highest quality body wash products for men on the market. When us men are in search of the best body wash products around, we typically ask ourselves two questions: How well is it going to get me clean? Does it have a good, manly scent? But to get the answers to these questions, you might have to dig a little deeper. It shouldn’t take much more than a glance at the label, however, to uncover the answers – so long as you know what to look for. The ingredients in a body wash have everything to do with how well it’s going to get you clean and how fresh and nice it is going to smell. However, there’s one other thing to consider when pinpointing the type of soap you’re going to use to cleanse yourself every day. There are two main types of body washes you are going to need to consider when it comes to finding the one that is the perfect match for your skin type, lifestyle, and preferences. They are bar soap and gel soap. Bar soap is the timeless classic option that many people have used and relied on faithfully for years – but does it have any benefits other than seniority over the new kid on the block, gel soap? Well, let’s just look at the facts. Studies have revealed that gel cleansers are not as likely to disturb the pH levels of your skin than an old-fashioned brick of soap. This is because these formulas supposedly strip your skin of its naturally occurring essential oils, resulting in dry skin and an unbalanced pH. Shower gels also offer many benefits, including better formulations as well as a combination of natural elements that contribute vigorous oils, vitamins, and scents. That’s not to say, however, that all shower gels are created equal. The premium shower gels still have distinguishing factors that set them apart from the other options available on the market. These characteristics mostly lie in the ingredients. What these body wash products are made from makes all the difference, so let us help you know what to look for. Some body washes make you feel rejuvenated and refreshed after a shower, and leave you smelling incredible – and some, unfortunately, do not. 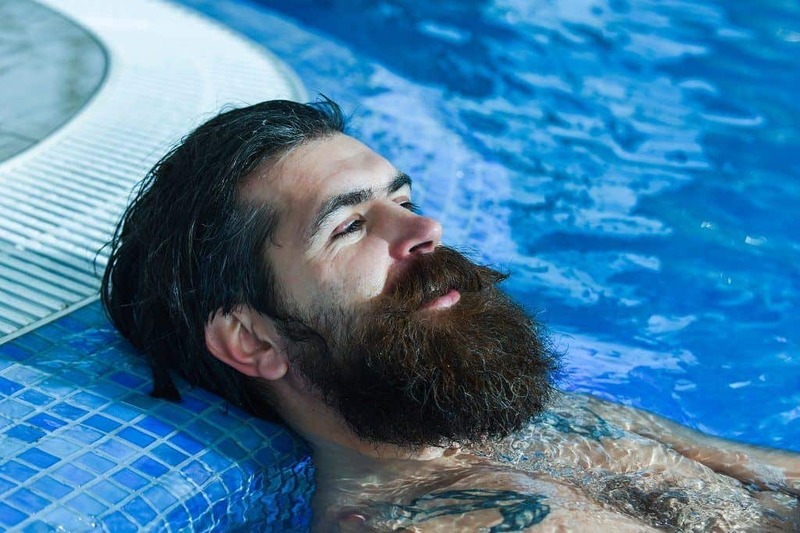 The ingredients included in the formula makes all the difference, and here are some of the things you will find in the top body washes for men that give your skin that TLC you’re looking for from a high-quality, trusted premium brand. Aloe Vera is an extremely popular agent used in a whole host of skin-care and body wash products due to its skin-cooling and healing properties. When a product contains aloe vera, this typically is a sign that the manufacturer cares about what they are putting in their products and are trying to produce a high-quality body wash that will do its job well. Essential oils are also frequently used in body wash formulas for many reasons. One reason is often for their favorite scents that make you smell fresh all day long. That’s not all essential oils do, however – they also have nourishing capabilities that help to hydrate and condition the skin to maintain the moisture level it has naturally. This is another substance that you may find in premium body wash options for men on the market today. The purpose for its inclusion lies in the fact that it creates a nourishing effect to give necessary moisture to the skin of the user. Plants naturally have all sorts of healing, moisturizing, and other helpful capabilities that are utilized in body washes to bring about helpful benefits. Some of the most common benefits of using plant extracts in body washes come from their natural antiseptic qualities and exfoliating uses. Shea butter is a highly-coveted ingredient in the world of skin care products, including body wash.
Shea butter is useful in such formulas because it treats the outer layer of skin with a protective and smooth texture that both defends against harmful agents as well as moisturizing the skin. Many body washes contain vitamins as well, and depending on your skin type, these might be incredibly helpful to the health of your skin. Singular compounds such as E and C are used for antioxidants used for softening your skin as well as detoxification. Many other ingredients and oils can often be found in your body wash ingredients, including things like grapefruit or Bergamot oil. These types of things provide additional skin care benefits that can make a significant difference in how well the body wash cares for your skin. Keep an eye out for high-quality ingredients like that, and when you find them, it’s a good sign that the manufacturer has your skin’s best interests in mind. Not all ingredients you find in body wash are meant to nourish your skin and make you smell like fresh pine after emerging from your shower. Some of them are used for much more self-serving reasons from the company’s standpoint, such as cutting down on their own production costs by achieving a specific effect without shelling out the expense required of ingredients that are the real deal. The drawbacks aren’t exactly worth the benefits of saving a few bucks on a low-end body wash, if you ask us. This substance has been known to block the absorption of choline, which is a vital nutrient that is helpful in brain development. This agent is known as being hazardous, with a reputation for causing toxicity in the brain, liver, central nervous system, and more. Not exactly the type of thing you want to be bathing in, in our opinion. Many body washes that aren’t of the highest quality contain high rates of perfumes, which often causes irritation on the skin. In addition, these powerful, synthetic fragrances could negatively affect vital organs. Parabens are used as preservatives to prolong the useful period of the body wash, but they have also been linked to many different skin conditions including breast cancer – which men are not particularly exempt from, either. It’s better to stay on the side of caution and avoid harmful ingredients like this altogether. These additives are commonly used for skin care and beauty products, and they have been strongly linked to kidney and liver abnormalities, as well as dermatitis. 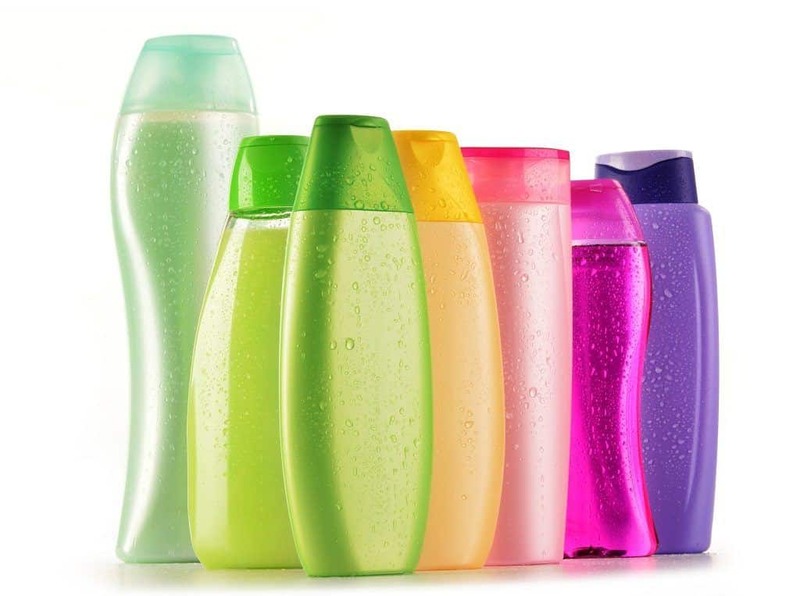 A detergent and surfactant often included in many different cosmetic products you’ll find, this substance has been linked to organ toxicity, endocrine disruption, and skin irritation. Triclosan is an antibacterial compound for which there is evidence that it contributes to resistance to antibiotics. As you can see, there are a lot of ingredients you are probably hoping to see on your body wash label – and many that you are likely hoping to find absent. The following are some of the best body wash options for men in the premium category that can give you a good starting place in your search for the ultimate body wash that works best for your morning routine. When it comes to body conditioning, Molton Brown Black Peppercorn is particularly adept, so if you find that you have dryer skin and are in search of something that will leave you lavishly moisturized and hydrated, then this just might be the best body wash for you. It has a concentrated formula, notable appearance, and intoxicatingly manly aroma that you will love. This body wash helps to eliminate toxins from your skin, and those who value fitness will be happy to know that it helps to boost your circulation and will help your muscles to relax after a workout for some well-deserved rest. We love the performance of this body wash overall, and the scent it has is equally compelling aside from being free of harmful chemicals and additives, it also does its job extremely well. In addition, it’s good to remember that the other scents the brand sells are equally invigorating while offering equitable performance capabilities. So if Black Peppercorn isn’t exactly the scent you had in mind, you’re not out of luck yet. 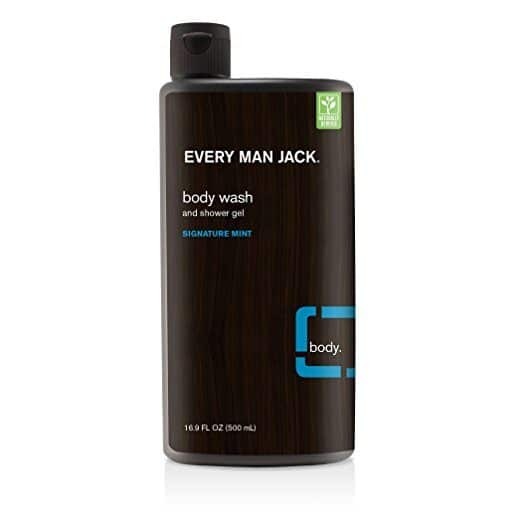 Finding a cruelty-free body wash that will work for you regardless of what type of skin you have is a true rarity, but Every Man Jack seems to have pulled it off with their signature mint shower gel. While animal testing may not be a deal breaker for you, most people find cruelty-free products to be a built-in plus. This formula is not tested on animals and the jojoba beads it contains are biodegradable. These same beads sink in to remove dead skin cells from the surface of your body without resulting in irritation and dryness like many other brands do. Finally, this formula has a notable absence of dyes, phthalates, parabens, and sodium lauryl sulfate. The oils contained in each stylish bottle are naturally derived to nourish you all day long to provide consistency as your day progresses. We love this body wash and it’s certainly one of our favorite options on the market. Ideal for skin exfoliation and working for all skin types, give it a try today and feel minty fresh all day long! It’s always good to have a shower gel to back you up and keep you smelling incredible all day long for when your deodorant just won’t step up to the task. 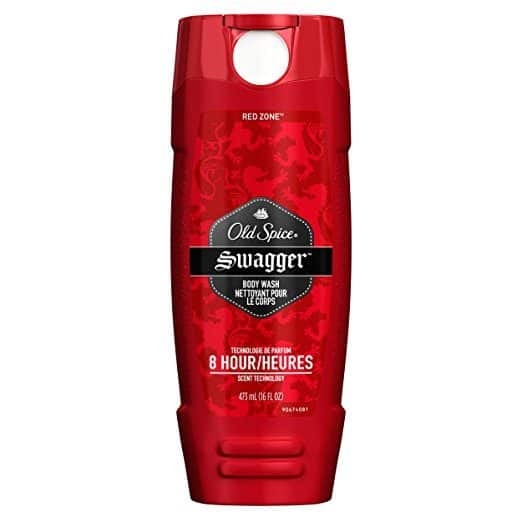 The formula of Old Spice Red Zone Swagger results in an incredibly intoxicating and masculine scent that will cling to your skin for as much as 8 hours after being used. This is enough to get you through the workday without starting to smell your own body odor creeping up your nostrils. What’s especially noteworthy about this product is the fact that it performs nearly as well as it smells with a formula that lathers up smoothly and gently foams against your skin. This more economical option comes at a cheaper cost, meaning that you can stock up on it without hurting your wallet. There are few things in your morning routine that can beat the convenience of Rugged & Dapper Dual Purpose Body Wash that can also serve as a shampoo. Particularly ideal for those who are in the hurry to rush out the door in the morning because they are chronic snoozers or for those who are just so sleepy in the mornings that they can’t be bothered to tell the difference between their body wash and shampoo. 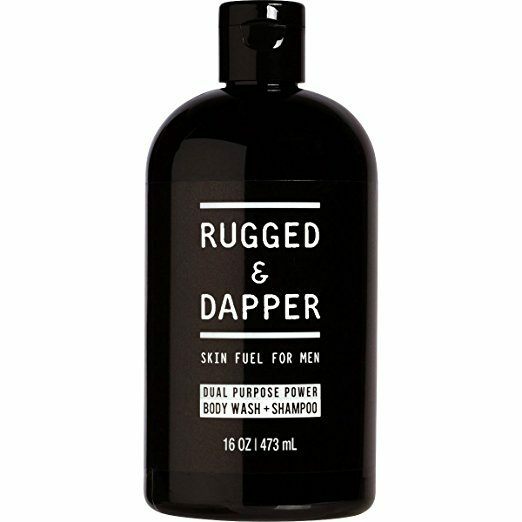 The convenience of such multi-purpose formulas aside, there is plenty more benefits that come from Rugged and Dapper’s incredible product here. Especially attractive for those in search of an organic solution to keeping their bodies clean and smelling good all day long. While it may not be the most widely-known product, it is a well-kept secret that is incredibly dynamic and does a lot of hard work to cleanse your body from head to toe. Even being used as a shampoo, it does its job well by removing the dirt from your scalp and even enhancing hair growth. Loaded with natural and organic agents that can detox your skin and provide deep-cleaning qualities, this product is certainly one that you can consider regardless of your skin or hair type. With its incredible performance capabilities, we truly do not think you can go wrong with this product. The packaging isn’t too shabby, either. Another 2-in-1 solution, Anthony Invigorating Rush formula functions as a cleaning system that works in three tiers to not only clean you but also provide the unique benefit of invigorating your body with a rush of clean energy. It achieves this by stimulating your senses with Eucalyptus extract that wakes your senses and gets them working in full force. In addition, the birth leaf properties it possesses absorb into your skin to calm inflammation with the use of Canadian balsam. The ingredients also include avocado and wheat protein, and these are used to moisturize your entire body, while the vitamin B5 included is intended to rejuvenate both the hair and skin. Ideal for dry or oily skin, as well as normal or sensitive skin, this product can treat every type of skin to stay fresh and clean all day long. As you can see, there are a lot of things to consider when it comes to picking the body wash that is going to best complement your morning routine and keep you feeling awake and refreshed after a shower. From deciding on the type that is going to work best for your unique skin type, to screening the ingredients to ensure that it contains no harmful chemicals or additives that will harm your skin or body, to finally narrowing down your selection to the best body wash for men that works for you. 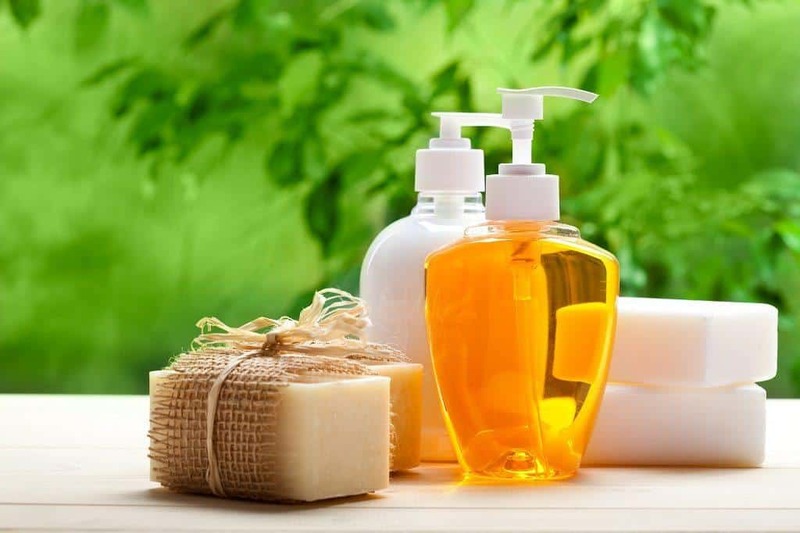 Throughout the journey to finding the body wash that will be best for your shower, you should now have all the resources you need to adequately conduct your search and make a well-informed decision. This way, you will end up with a body was that leaves you smelling masculine and feeling fresh and clean throughout the day. Not only that, but if you pick the right formula, your skin will also feel moisturized and healthy. Now that you know everything you need to know, all that’s left to do is make the selection that’s right for you and lather up!